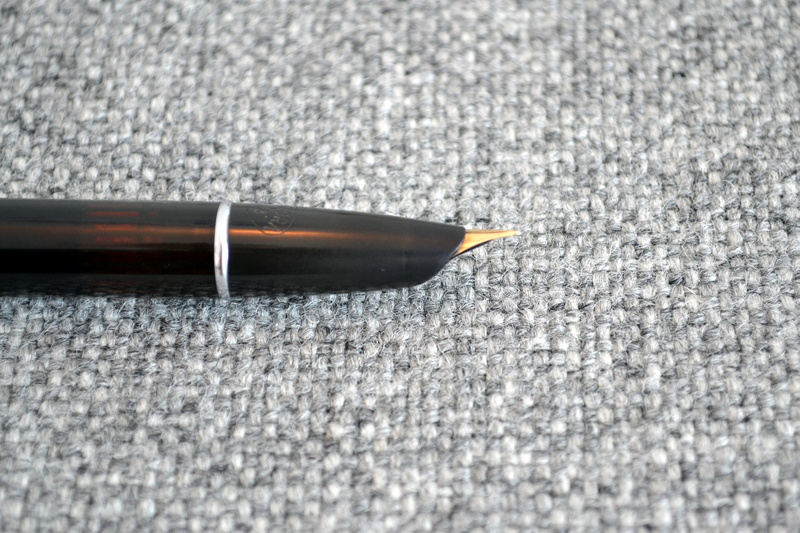 The Aurora 88 is one of the best Italian fountain pens ever produced and is, without question, the most commercially successful Italian fountain pen of all time. The 88 was designed by architect Marcello Nizzoli in the late 1940s and features a streamlined style with a hooded nib and a metal slip cap much like the Parker 51. Because of its commercial success the Aurora 88 is not a rare pen and as such prices are reasonable (unlike most vintage Italian pens). Nice examples of the original 88 model can be had for $100-$200. I particularly like the Nikargenta capped version as this silver material was only available on the original model unlike the rolled gold, chrome and solid gold versions. 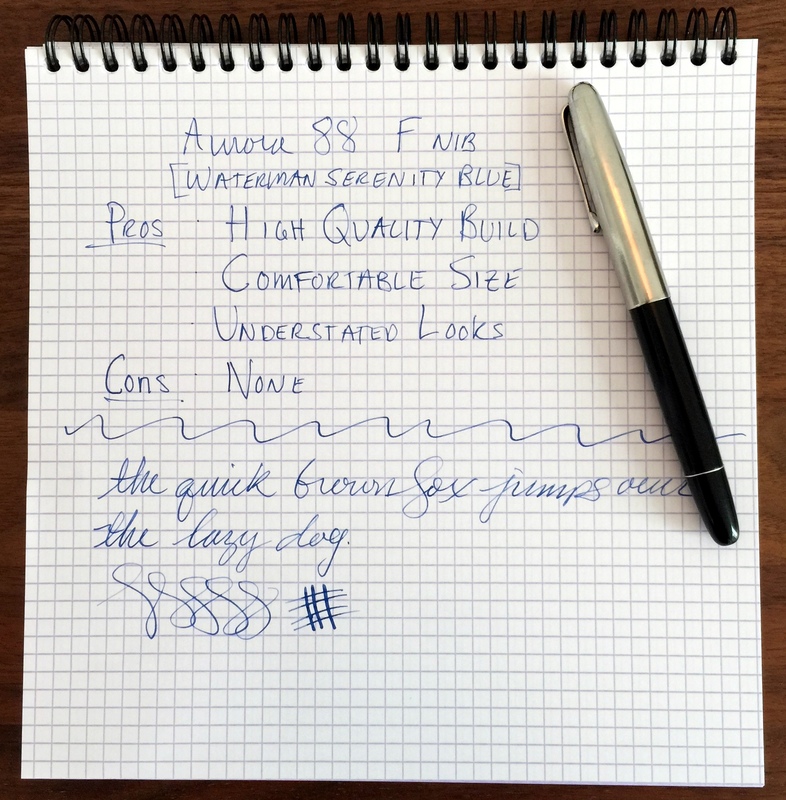 The Aurora 88 is a true workhorse and makes an excellent everyday pen. Compared to the standard-size Parker 51, the 88 is slightly fatter and heavier. The added weight and girth make the 88 feel more expensive than the 51. The 88’s 14kt hooded nib is more exposed than the Parker 51s allowing more flexibility and line variation. The 88 also features a piston filler with an ink view window. I suspect that the (aerometric) Parker 51 is a slightly tougher pen with it’s ultra durable filling system and more protected nib but the Aurora is more fun to write with. I highly recommend the Aurora 88, it is excellent. Thank you for the comment Rae! I paid a bit over $100 for mine and I think there are plenty of good ones in that price range. You can find the 88P and 88K versions for less but I recommend the original. oooh, that is niiiice. 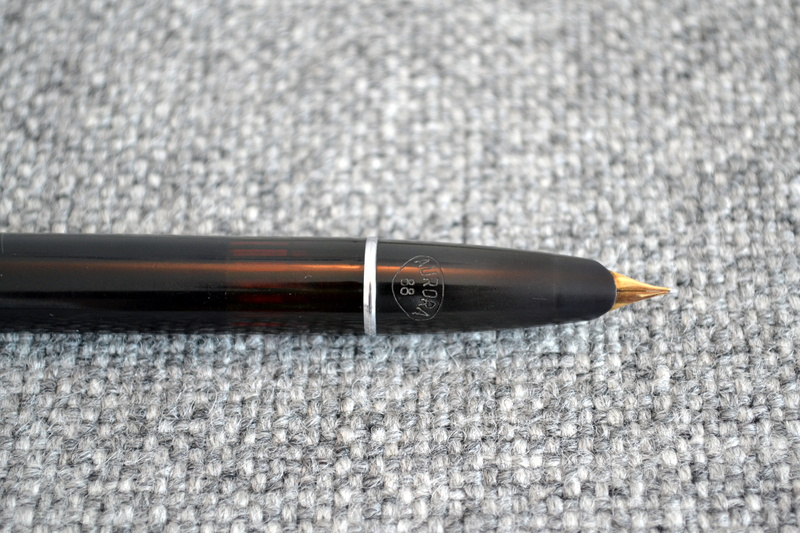 i love Parker 51’s, and this looks to be a nice, similar-looking pen. thanks for the review. Thank you for your comment Pao! If you like Parker 51’s it’s hard not to like Aurora 88. Back in the early 50s lots of companies were responding to the 51 with hooded nib pens but really there are only two worthy competitors, the Aurora 88 and the OMAS 361. 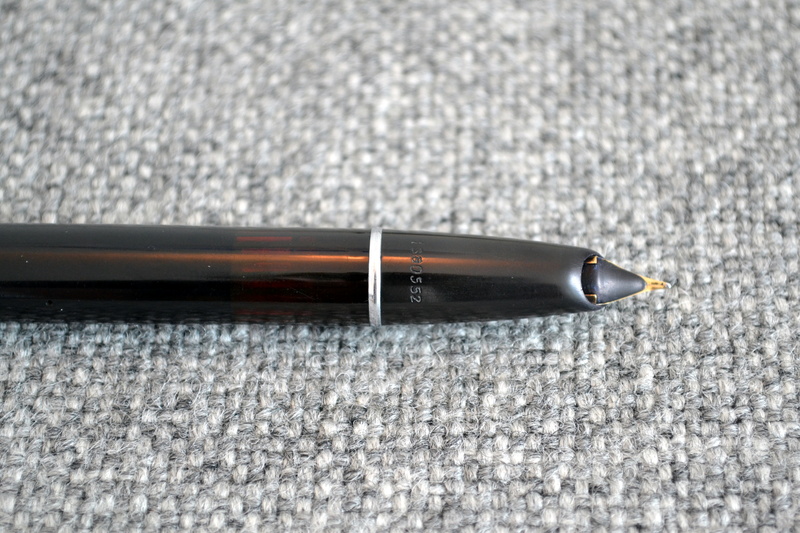 The 361 is a great pen with a double sided nib but it is much more expensive and bit more fragile than the 51 and 88. Thank you for the tip! I will definitely check these pens out. Thank you for the review! I thought the original 88s were much more, in the upper 200s-300. Where may I begin my search for one of these beauties?